Bob is a native of Goshen county. He graduated with a bachelor's degree in Range Management from University of Wyoming in 1996 and a Master's degree in Agronomy/Weed Science in 2000. He has previously worked for Holly Sugar and the University of Wyoming. Bob was a member of the summer spray crew for Goshen County Weed and Pest in 1992 and became Supervisor of GCWP in November 2015. Jenna grew up in southcentral Idaho. In 2010 she graduated with bachelor's degrees in Agricultural Economics and Soil and Crop Science from Colorado State University. Her Master's degree is in Agronomy/Weed Science from University of Wyoming (2016). ​Jenna began working at GCWP in April 2016. Originally from Baggs, Wyoming, Sarah attended Casper College and the University of Wyoming to obtain a bachelor's degree in Agricultural Communications with a minor in Agroecology. She was a seasonal spray operator for Carbon County Weed and Pest for three seasons. Sarah joined the GCWP team in May 2018. 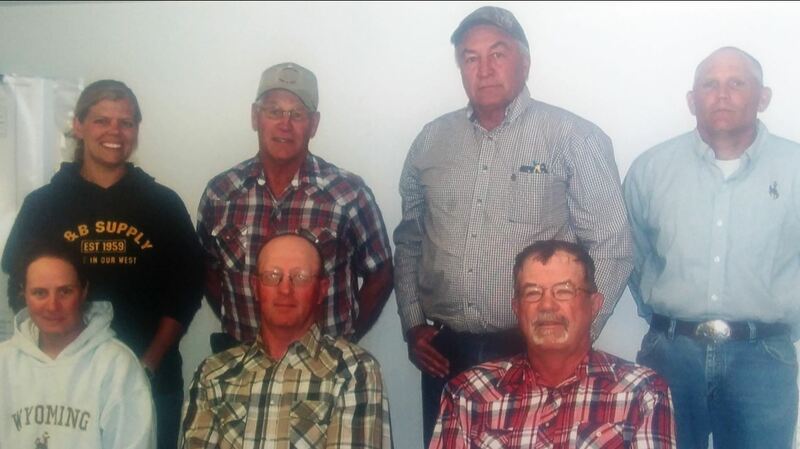 Board meetings are held at 10:30am in the Weed and Pest office on Thursday of the first full week of the month. For specific dates, visit our event calendar here.